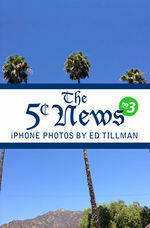 5¢ News, The - ZineWiki - the history and culture of zines, independent media and the small press. 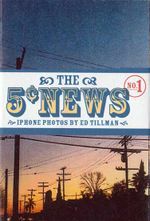 The 5¢ News is a mini Photography Zine of iPhone photos taken by Ed Tillman (aka InkWell on ZineWiki). Issues are free or for trade. 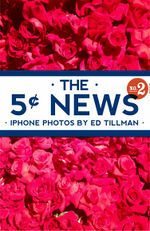 "The 5¢ News" is an 8 page mini zine with a fold out "poster image" printed on the reverse. There is generally no text in the zine. Each issue comes with a paper wrapper with the title and issue number. There is no definitive number printed for each issue, I just print as many as I feel like or can afford at the moment. New issues are created "whenever." This page was last modified on 6 April 2018, at 14:48.